Senate Democrats and the Left have promised a fight to the death to kill the Brett Kavanaugh Supreme Court nomination. It’s going to be Robert Bork reloaded, right? If Kavanaugh is confirmed, and it looks like that’s going to be the case, then conservatives will have a solid majority on the high court, hence the abortion hysteria that has gripped the Left. 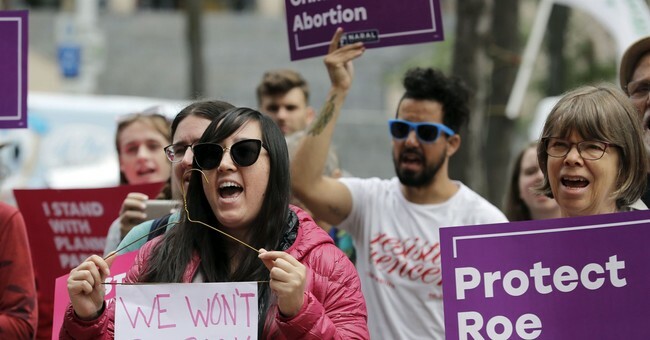 For them, Roe v. Wade is the only thing that matters, though the whole notion of Kavanaugh being on the Court has elicited some of the most unhinged commentary in recent memory. The Roe stuff is not unprecedented. Every time a Republican is in a position to nominate a judge to the Supreme Court, Roe is under attack—and yet, the decision still stands. It’s this notion that if Kavanaugh joins the ranks, the end of the world is coming. The right to vote could be dissolved as well, or something. It’s totally insane. Well, as it appears, the anti-Kavanaugh movement is weak sauce. It’s low energy, very low. They’re not even pressuring red state Democrats, who will bear the brunt of the pressure in this SCOTUS fight. Yet, as the Daily Beast noted, these groups could be saving their energy for the 2018 midterm fight, a rather explicit acknowledgment that Kavanaugh will be seated on the Court. Then again, isn’t this a midterm fight? The final vote is reportedly set for early October, which is not by accident; Senate Majority Leader Mitch McConnell’s blocking of Merrick Garland in 2016 gave conservatives, even the most hesitant of Republicans, a reason to turn out and vote for Trump. That decision has yielded immense dividends for the judiciary. McConnell and others are hoping to repeat that trend for this year—and it could work again. Indivisible, a progressive movement with its origins in the online #Resistance handbook Indivisible: A Practical Guide for Resisting the Trump Agenda, held 107 rallies at Senate offices around the country, with participants cresting more than 100 individuals in states like Maine, Alaska and New York. Progressive groups are the first to admit that if the battle over Justice Anthony Kennedy’s seat were framed as a dollar-to-dollar fundraising competition, they would lose. At the conclusion of a press call held hours after Trump announced Kavanaugh’s nomination, progressive groups led by NARAL Pro-Choice America discussed their mobilization against Kavanaugh’s nomination in the most apocalyptic terms, while acknowledging that historically, conservative groups have the drop on judicial nominations. The first vestiges of this anemic response from the Left to Kavanaugh’s nomination was probably seen when liberals attacked the D.C. Circuit Court judge for buying baseball tickets and having an extra “t” in his first name. They’re loading their magazines with blanks; though watch out for the documents requests. If Democrats want to obstruct and delay, they could ask for records from when Kavanaugh worked with the Bush administration. In all, if Democrats go down this road, the number of pages could soar into the millions. We’ll see. President Trump nominated Judge Kavanaugh on July 9, following the announcement that Associate Justice Anthony Kennedy plans to retire at the end of July.